We invite people and families (children of all ages are welcome) from the neighborhood and beyond to bring blankets or chairs and spend the evening in our unique garden setting. Picnicking & potlucking are welcome and encouraged. Donations to support the musicians and the Growing Center are most appreciated. For more information: Audrey at (617) 320-0538 or audreyryanband@yahoo.com or vivalavinal.wordpress.com. 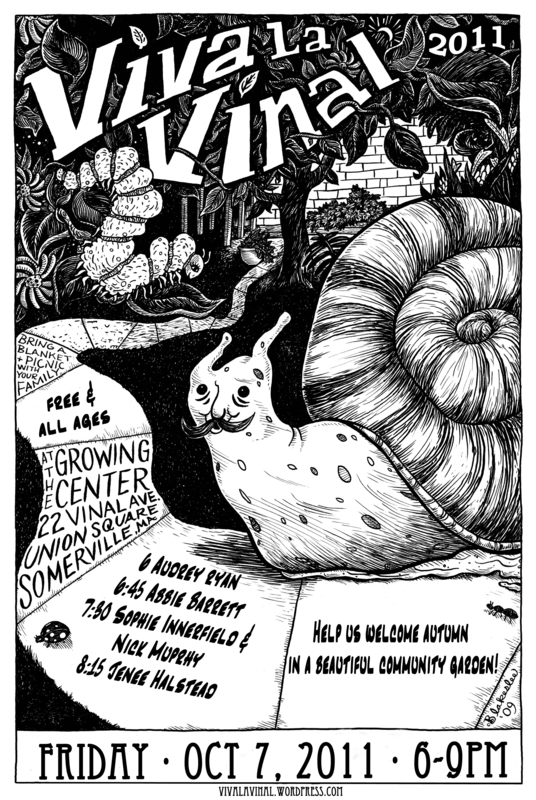 Audrey Ryan started the Viva La Vinal festival in the summer of 2006 with three bands in a beautiful community garden in Somerville. It's our sixth year and we are going back to our roots with four acts in one lovely Friday evening.